On a follow-up from Saturdays testing information the following admin updates and new license was issued thru the NEMRA Laurel VE testing service. Good to see Andy Riley staying legal to talk on the radio. Congratulations to George Farris from Iuka for testing and passing both his Tech and General test. Another good test session today. We had one license renewal and one new Tech/General (took both test and passed first try). Will post info Monday after FCC uploads the information. Special thanks to Tommy Poole, Chuck Moffatt, Curtis Tate, and Eddie Dunn for helping as VE’s for this session. May be making an announcement in the near future for a Tech class so keep watching. 73 to all and have a great weekend. 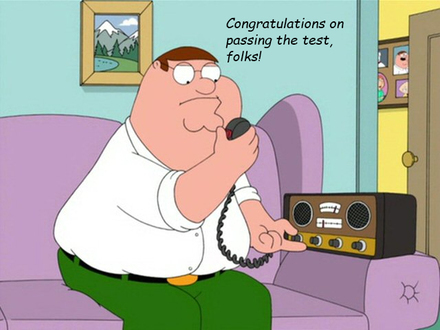 We will have a testing session on Saturday April 20th, 2019, so this is just a reminder that we will be testing for new amateur radio license and upgrade existing license for radio enthusiast and current ham radio operators. We will be at the Old Fulton Grammar School located at 603 South Cummings Street, Fulton, MS. We will begin testing about 9 am and will finish about 11 am. Please don't wait till 10am to show up and test, remember we begin at 9am. If no one shows for testing by 9:30 we will close testing for the day. If you are prepared and interested in taking the Technician, General, or Extra test, please come on up, down, or over, whichever suits you the best. NO FEE REQUIRED, please bring two forms of ID one needs to be a photo (ie, drivers license) and any CSCE's (certificates of completion) you have earned and/or a copy of your current license if applicable and your FRN. You will need an FCC Registration Number (FRN) for your application. FRN go to the site above. ● Use your LEGAL NAME. Do not use NICKNAMES. Once you have your FRN, click the Register button. You must first register with the FCC and obtain a FRN before you can test. We do not accept social security numbers any more. You must bring your FRN number with you for the testing paperwork, as is the only number you will have to complete the application (No SSN's). Please contact Bobby at w1law@yahoo.com for more information or notification that you intend to test that day. Walk-ins are accepted however, we would like to know if you intent to take the test and make sure that you have your FRN prior to coming to Fulton. If you need to renew your license, but cant be at the testing session, please go here (https://www.fcc.gov/wireless/support/universal-licensing-system-uls-resources/renewing-license-universal-licensing) and follow the instructions to renew your license if within 90 days before it expires. 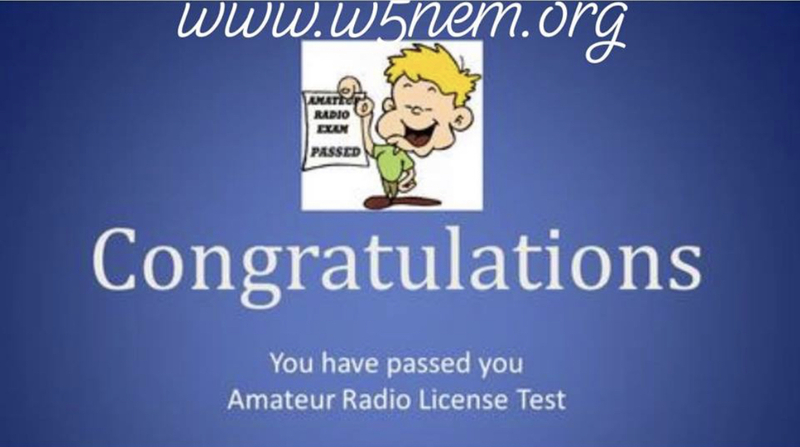 Please go to www.laurelvec.com for more testing sessions for your area and go to www.w5nem.org for a complete list of scheduled exams on our blog calendar for NEMRA along with other club information. We look forward to seeing you there and Good Luck!! Just taking a moment to remind you of our April meeting at the Fulton club tomorrow Tuesday April 9th, 2019. We don't have a lot of business so barring something coming up, Chuck is going to put on a demo with the new Flex 6600M. We will have a live station for demo an other will have the opportunity to look at this cutting edge SDR radio. Other clubs have requested this type of demo and I thought it was an opportunity to let some of the NEMRA members to have a take on it. See you there, and remember we start at 6:30 PM. Keep a watch on the weather tonight and possible later on this week for some storms. The 145.490 repeater is temp out of service and may or may not go back online. If so at a greatly reduced output power. Chuck Moffatt (N5VGK) has put the 444.825 repeater back online to compensate for the loss of the 490 machine. There is no tone right now and a normal +5 mghz split for the input. We at NEMRA would like to thank Chuck for all that he does for local amateur radio and if you see him please bestow a gratuitous “Thank You” for allowing us the use of his repeaters. He does this as a hobby but when it effects his business, he has to prioritize fun for business. Sometimes fun losses out. Please use the 444.825 repeater at your convenience and help Chuck see about the range ect to gauge the repeaters effectiveness. We had a great meeting last night with very little business and talked mostly about questions and discussion of general ham radio and VE testing. I would like to personally welcome our two newest members to the NEMRA family and club, Darwin Brooks (N5EIC) from Belden and John Crowley (KI5BRF) from Plantersville. Both are newer Amateur Extras and wanting to learn. Please welcome them if you see or talk to them. Anyone want to give this a try this weekend??????? 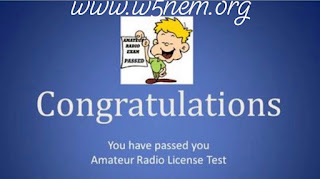 We will have a testing session so this is just a reminder that we will be testing on Saturday January 19th, 2019 (third Saturday) for new amateur radio license and upgrade existing license for radio enthusiast and current ham radio operators. We will be at the Old Fulton Grammar School located at 603 South Cummings Street, Fulton, MS. We will begin testing about 9 am and continue until about 11 am. If no one shows for testing by 9:30 we will close testing for the day. If you are prepared and interested in taking your Technician, General, or Extra test, please come on up. No fee required, please bring two forms of ID one needs to be a photo (ie, drivers license) and any CSCE's (certificates of completion) you have earned and/or a copy of your current license if applicable. PLEASE BE ADVISED THAT UNTIL THE FEDERAL GOVERNMENT GOES BACK TO FULL OPERATION THERE WILL BE NO NEW LICENSE OR UPGRADES UPLOADED TO THE FCC UNTIL THAT TIME. SORRY FOR THE DELAY AND INCONVENIENCE BUT IT IS BEYOUND THE CONTROL OF THIS CLUB OR LAUREL VEC. You must first register with the FCC before you can have a FRN issued by following the instructions on that page. You must bring your FRN number with you for the testing paperwork, as is soon to be the only number you will have to complete the application (No SSN's). Please contact Bobby at w1law@yahoo.com or Chuck at chuck@selectconnect.net for more information or notification that you intend to test that day. Please go to www.laurelvec.com for more testing sessions for your area and go to www.w5nem.org for a complete list of scheduled exams on our blog calendar for NEMRA. Jan 8th, 2019 meeting and upcoming VE Testing session. Just a reminder that we will be meeting tomorrow night in Fulton at 6:46 pm. Please make plans to attend and also $25 will need be collected for this years dues for the club. We are going to discuss and make some recommendations about the clubs constitution and by-laws to be presented at the Feb meeting for approval so your input will be greatly appreciated. Also, Sat the 19th is our first testing session of the year. We are going to offer the testing with the understanding that new license and upgrades wont go into the FCC system until the national government re-opens again. A FRN will be required to test for the Tech test and the CORES system is still up and running for those needing their FRN to take their first test. So if you know anyone wanting to take their test, they will need to go to the site here and get a FRN, (https://apps.fcc.gov/cores/userLogin.do). Okay, see you guys tomorrow night and lets get this year started off in a GREAT way and lets simplify some things and get back to learning ham radio and using ham radio. 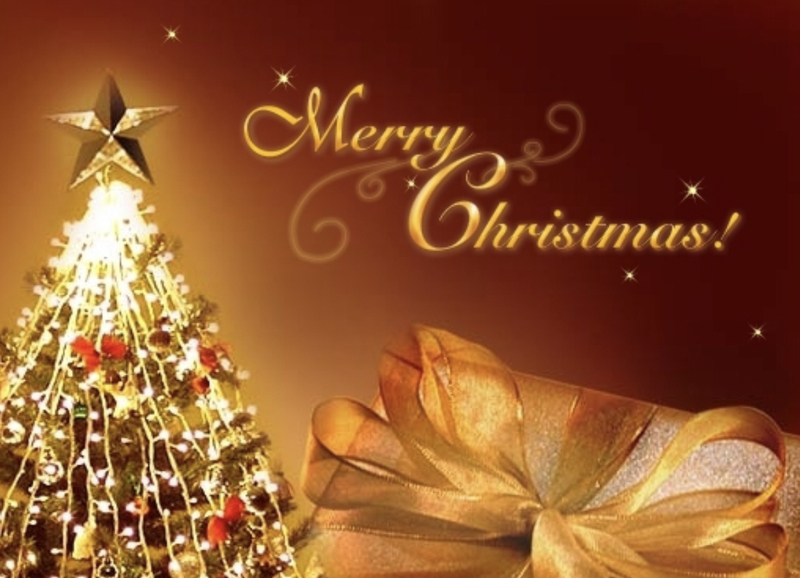 From All the Family At NEMRA! !